Someone once told me not to knock the weather because without it, 75% of the population would not know how to begin a conversation. However, I have noticed something that I know to be a fact. When I first came home, back in the dark ages according to Cader IV, our Octobers were cool to cold, while our March weather was warm to hot. Since we are also in the fresh vegetable business, we a have to pay careful attention to temperatures. We have had frost for the past two mornings, and are expecting a freeze on Friday morning. We have around 50 acres of sweet corn already out of the ground that we planted for the Memorial Day market. The only way to keep these plants alive will be to run our center pivot irrigations over then since the water coming out of the ground will be warmer than the surface and air temps. I can remember a time when March weather would be so warm that the quail would start pairing off with “lovin’ on their minds”. Either the earth has shifted on its axis or that dang Al Gore has created more havoc for us. Changing the subject completely, I would like to revisit a prior blog in which I stated that I saw no need for civilians to own an assault rifle even though my own son does. A good friend, who actually reads my blog, took me to task on that by stating that if someone broke into his home, he wanted all of the bullets and firepower he could get his hands on. After he said that to me in a phone conversation, I remembered the words of my old drill sergeant at Fort Campbell who said, “Trainee (actually he lovingly referred to me as s—t for brains), a soldier can’t have TOO many bullets when in a combat situation.” I will concede that I might possibly be wrong on this subject. At our home, Martha has a Ruger LCP 380. As long as the bad guy stands still, he stands very little chance of being shot by Martha. But, if he starts moving around, he might catch a stray bullet. I, on the other hand, have a 12 gauge, unplugged shotgun loaded with double 0 buckshot. And, I guarantee you that I will hit what I’m aiming for in close quarters. The most uncomfortable period in my life was when our children were young, and Martha insisted that the guns be kept under lock and key in one location while the shells received the same treatment in another location. I just always had a gut feeling that the bad guys were not going to be willing for me to call “time out” while I unlocked and got my stuff together. Of course when the children got older and I was able to teach them gun safety and the awesome killing power of a weapon, I was able to get back to my comfort zone with quick access to a loaded weapon. Again on the subject of guns, I recently read some interesting statistics. Did you know that Planned Parenthood has killed 330,000 more children than the NRA last year? Also, eight times as many people were killed with knives than guns last year. I don’t have the statistics for car and texting deaths, but from what I see on the road, I can guarantee you that many more people are killed by texting drivers than by guns. So, maybe we should consider a ban on knives and cell phones before worrying about guns. Now, since this is my blog, I’m going to quickly switch gears to a subject that is very near and dear to my heart, and that subject is character. While I do not offer Cader IV advice on how to run Riverview anymore, he is still my son, and I reserve the right to preach to him every now and then. My Pop did it to me until the day he went to be with the Lord. The subject of our conversation this morning was character. I firmly believe that character, not accomplishments or acquisitions, determines your legacy. Show me a good company managed by someone who lacks character, and I will show you a group of employees who do not respect their boss and a company that is doomed to fail eventually. Having been in both of these situations in my life, I would much rather be in a bad business with a good partner than in a good business with a bad partner. 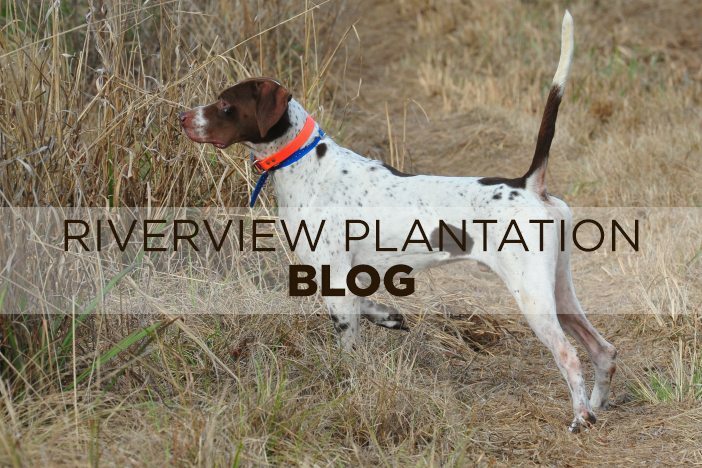 Now, y’all know that I can’t close any blog without putting in a plug for hunting. I want to quote verbatim two lines from two of my all-time favorite outdoor authors. Robert Ruark said, “The best thing about hunting and fishing is that you don’t actually have to do it to enjoy it. You can go to bed every night thinking about how much fun you had twenty years ago, and it all comes back as clear as moonlight.” I like this quote by Gene Hill even better, “God doesn’t count the hours you spend afield with friends.” Now, just think how much longer you could extend your life span with a couple of trips to Riverview annually! That’s all for now folks. Next week is our last week of hunting season by our choice. We always like to quit hunting earlier than the state law allows in order to get a jump on our controlled woods burning before everything gets too green to burn. It has been a FANTASTIC season! And, I have grown very comfortable in my new and diminished role after answering the bell seven days a week for 6 months, and putting in about a 16 hour day for 45 years. You know a midafternoon nap is actually quite refreshing. However, I still come in every morning to visit with old friends and stay through lunch unless Martha or I have a doctor’s appointment. Hopefully, we are very near the end of Martha’s chemo treatments, and her oncologist is very, very pleased with all of her blood work and scans. God is GREAT! !